Leo Feigin, or Лео Фейгин (b.1938) is a British producer, founder of prolific Leo Records, and BBC radio broadcaster, known to Russian listeners as 'Alexei Leonidov.' Born in Leningrad, Leonid Feigin graduated from the Lesgaft National State University of Physical Education in 1959, and became a master of sports in high jump in 1960. Feigin later studied English language and philology at the Leningrad State Pedagogical Institute, graduating in 1967. He worked as a translator and had been teaching English at Pedagogical Institute. Not a musician, Feigin was very passionate about jazz throughout his whole life, listening to Willis Conover's programs on the semi-pirated Voice of America radio, and getting involved in the emerging Soviet jazz scene as a concert announcer. In 1973, Leo Feigin emigrated from the Soviet Union to reunite with Jewish relatives in Israel. One year later, he moved to London to work as a Russian translator at BBC, where he soon became responsible for music and jazz broadcasts, and enjoyed full access to the vast European and American free improv scene. The British Broadcasting Corporation was clearly not taking a full advantage of Feigin's true potential and inexhaustible energy, and soon Leo decided to launch a new record label, aiming to find and produce the most original and innovative improvisation-based new music. In October 1979, Leo Feigin went to New York, where he recorded an extravagant jazz pianist and singer Amina Claudine Myers in New York. Her Song For Mother E LR 100, released in 1980, as well as Humanplexity LR 101 by Keshavan Maslak with Han Bennink and Misha Mengelberg, gave an official start to Leo Records. Another key element for the future success of the label came from Feigin's USSR friends, who wrote about a new mind-blowing Lithuanian avantgarde trio of Vyacheslav Ganelin, Vladimir Chekasin, and Vladimir Tarasov, and even managed to send him a few unreleased tapes. In his interviews, Leonin Feigin recalled playing Ganelin Trio recordings to all high-profile jazz people he met. On one occasion, they listened to the cassette with Manfred Eicher and Steve Lake (2) in Eicher's car parked outside a local jazz festival. At the end of it, ECM Records founder shook his head in disbelief, no way it's a trio. A piano, double bass, basset horn, guitar, flute, saxophone, drums, percussion – how could just three guys play all these instruments in one set?! After gaining the ensemble's permission, Leo Feigin released Live In East Germany LR 102 by Ganelin / Tarasov / Chekasin. Leo Records also released Amina Claudine Myers - Salutes Bessie Smith LR 103, Maslak's second album Loved By Millions LR 105, this time with Sunny Murray and John Lindberg, and added a new artist to the roster – UK jazz bassist John Lindberg with his solo debut Comin' & Goin' LR 104. Ganelin-Tarasov-Chekasin's second album, Con Fuoco - Live In Moscow And West Berlin LR 106, combined one track recorded at West Berlin concert in October 1980, and live recordings from Moscow '78. Staying true to his mission of documenting and exposing practically uncharted post-Soviet new jazz/free improv territories to the international audience, Feigin produced and released albums by numerous other Russian and ex-USSR musicians and bands, such as Anatoly Vapirov, Vladimir Rezitsky, Vitas Pilibavičius, Sainkho, Alexander Menshagin and Richard Norvila, Vladimir Tolkachev, Yuri Yukechev, Moscow Composers Orchestra, Mark Pekarsky with Sofia Gubaidulina and Victor Suslin, Jazz Group Arkhangelsk, and Valentina Ponomareva. Leo Feigin also released several box-sets in the same lieu: 8xCD Document - New Music From Russia - The 80's (1989), 4xCD Conspiracy - Soviet Jazz Festival Zürich 1989, and Golden Years Of The Soviet New Jazz (2001–03) in four 4xCD volumes. In 2009, for the label's 30th anniversary, Leo Feigin established an annual Leo Records Festival in Russia, which expanded to seven cities by the third year, and featured several international artists from Leo's roster, such as Simon Nabatov, Frank Gratkowski, Gebhard Ullmann, and Yannick Barman. Since the early nineties, all Leo Records releases were issued on CD, normally in standard jewel case packaging, but a few sub-labels and special editions came in cardboard digipacks. Always claiming that 'the origin of the musicians is not so important,' Leo Feigin featured composers and musicians from all over the world on his label, personally producing, co-producing, and preparing for publishing a vast majority of 700+ releases in Leo Records catalog, including many outstanding recordings by Ivo Perelman, Matthew Shipp, Anthony Braxton, The Art Ensemble Of Chicago, John Wolf Brennan, Sun Ra, Eugene Chadbourne, Evan Parker, William Parker, Marilyn Crispell, Joëlle Léandre, Joe and Mat Maneri, Phil Minton and Roger Turner, Lauren Newton, Ned Rothenberg, Tibor Szemző, Cecil Taylor, Reggie Workman and many others. 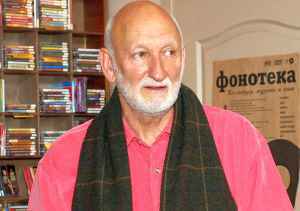 Leo Feigin wrote several books, including Russian Jazz: New Identity (1985, Quartet Books, London) and All the jazz: Autobiography in anecdotes (2009, Amphora, Moscow).